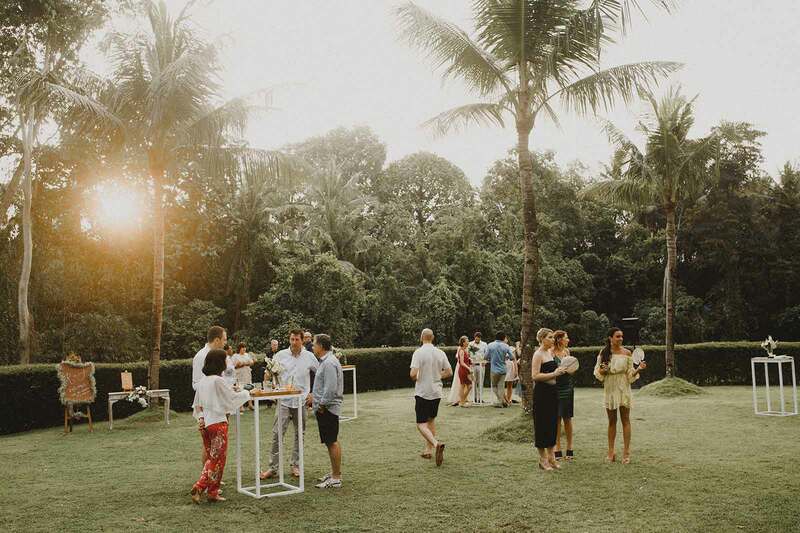 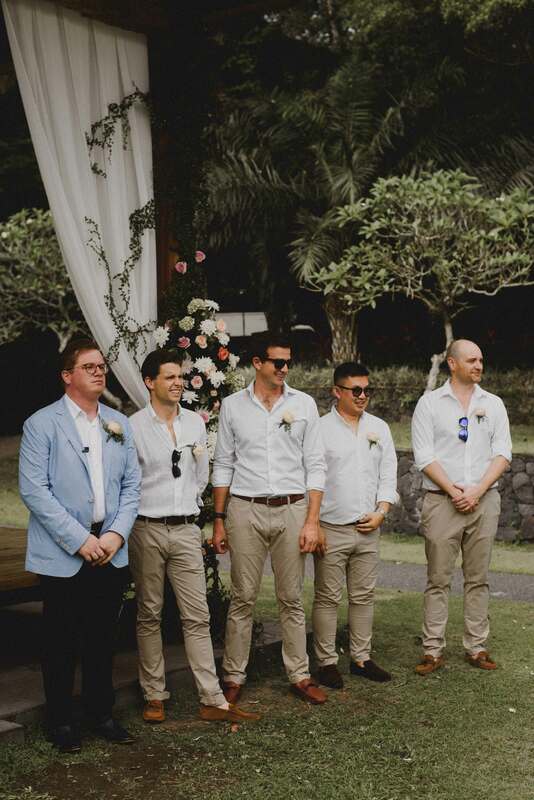 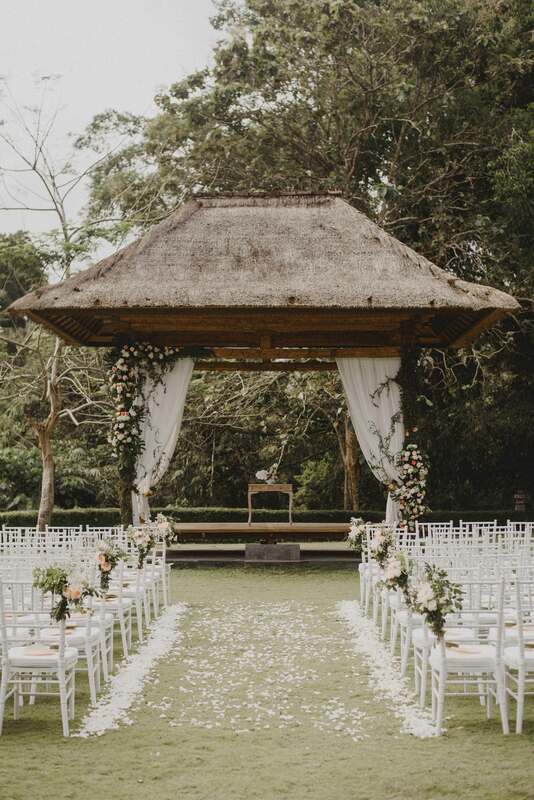 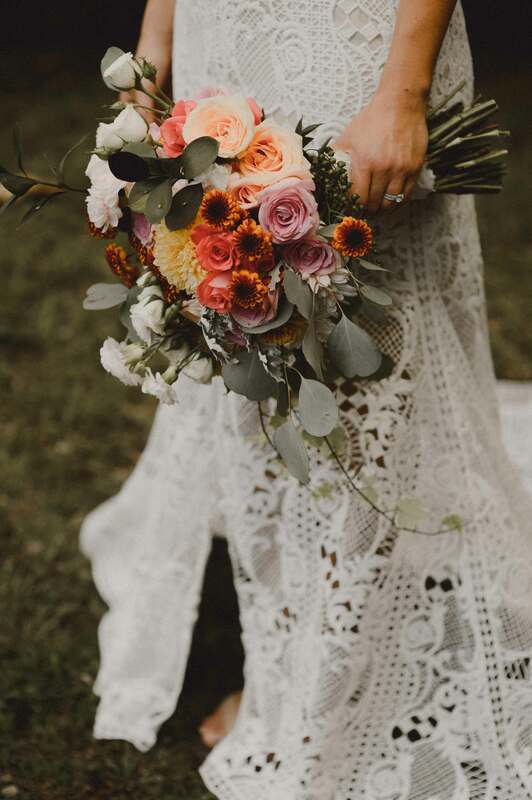 Good food, great tunes and a reception beneath the stars were at the heart of this week-long celebration..
Picture this: you’re about to leave for your week-long wedding at a luxe Bali resort and the news is filled with headlines telling you a volcano eruption is imminent. 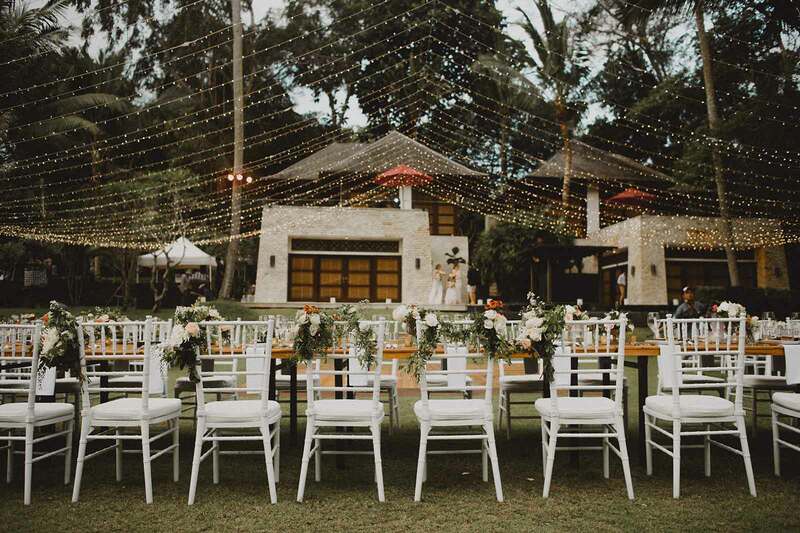 It’s this unfortunate situation Rita and Justin faced just weeks before their special day. 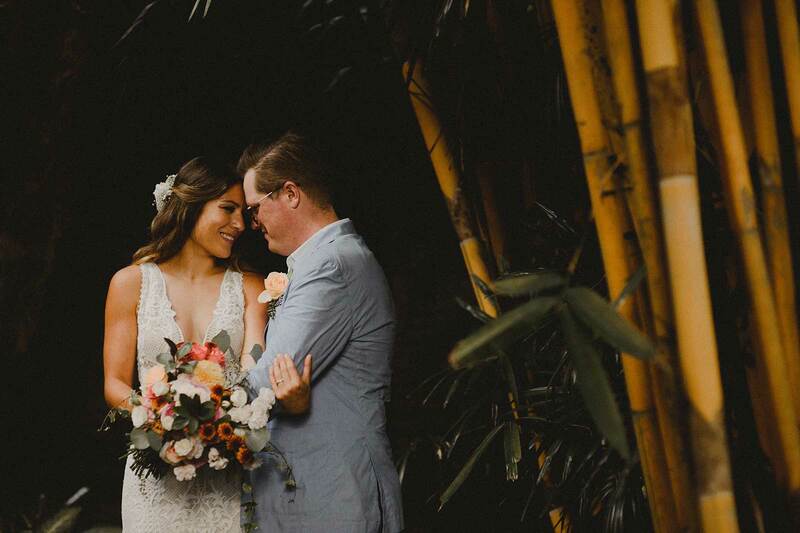 “We had to cross our fingers and leave it in the hands of Mother Nature,” says Rita. 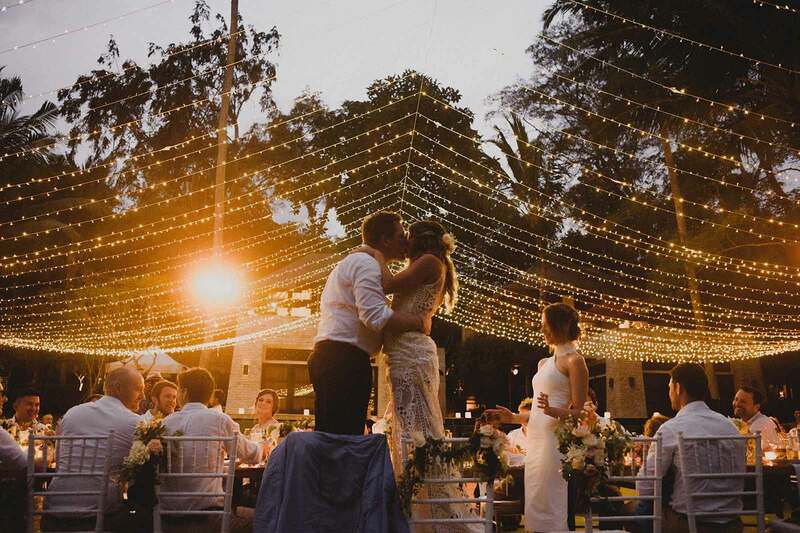 A sensational celebration that continued for days after the wedding, Rita and Justin’s nuptials were simply the stuff of daydreams. 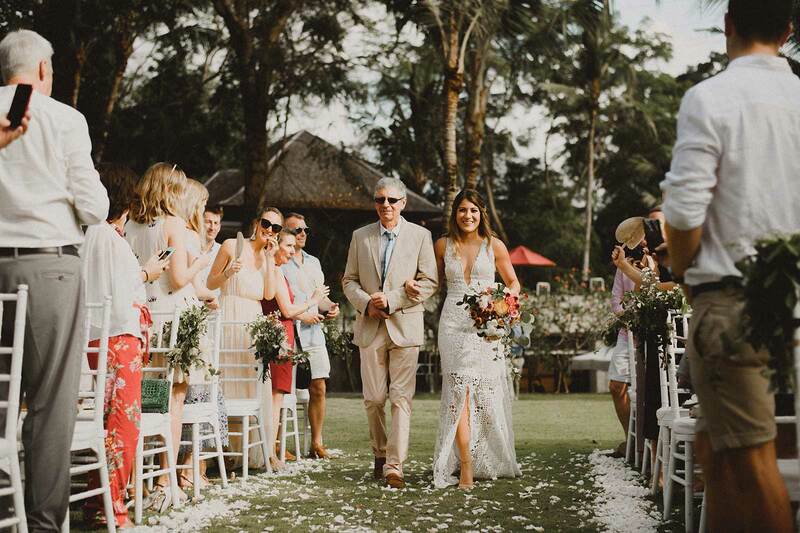 “We loved being able to escape the everyday and just experience Bali with the most important people in our lives,” says Rita. 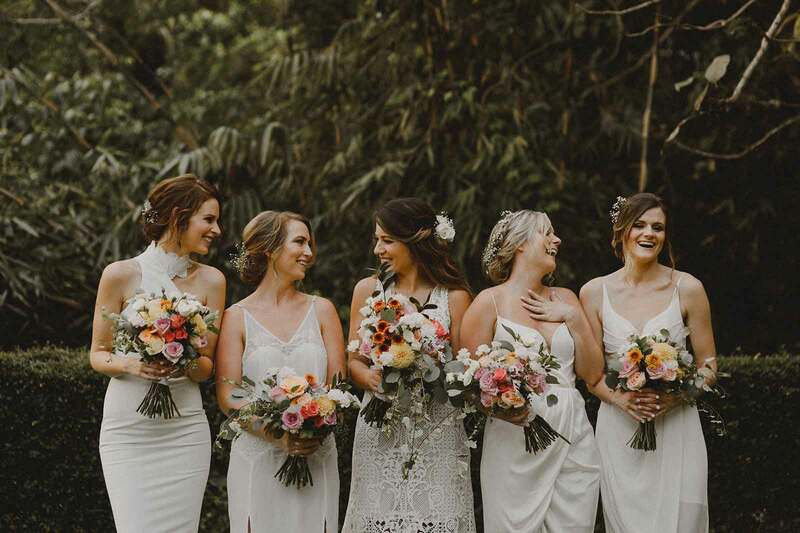 “Our big day turned out to be a week-long celebration with everything from welcome drinks to dinners and recovery pool parties. 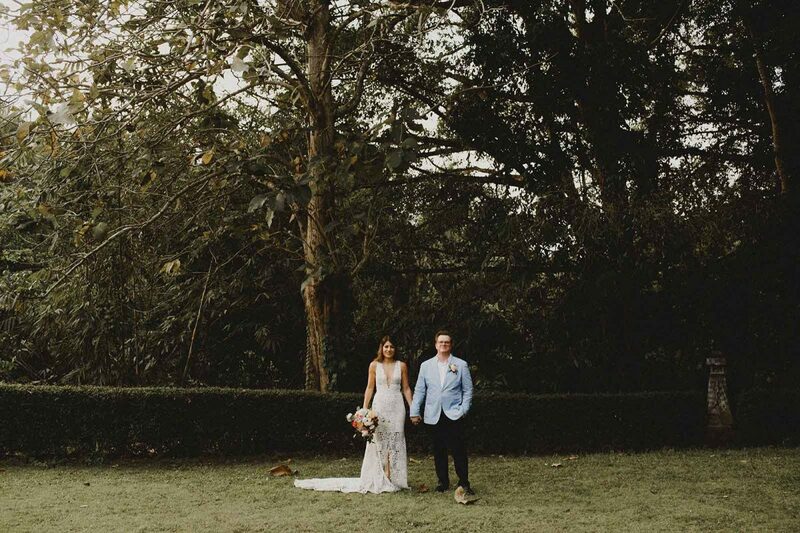 It was like our dream wedding and holiday all in one.” Heaven.